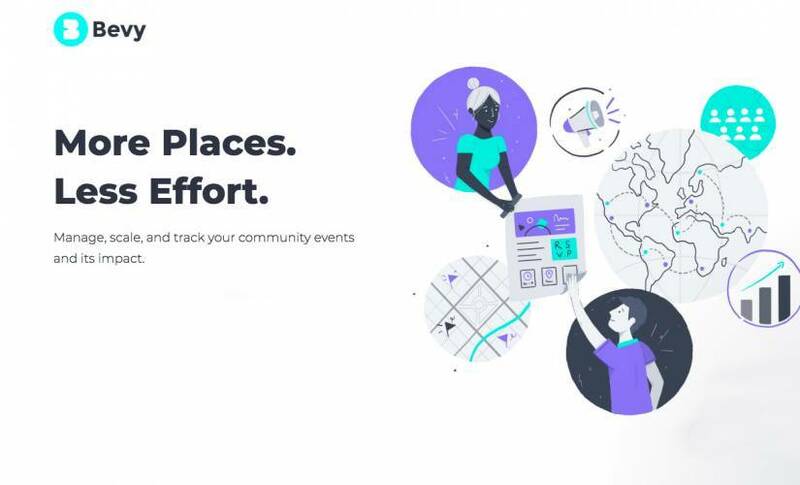 Bevy, an enterprise community event platform, announced today it has raised $6.4 Million Dollars from investors: Upfront Ventures, renowned author and Stanford Professor Steve Blank, Ryan Smith and Jared Smith, co-founders of Qualtrics, and Aaron Skonnard, SEO of Pluralsight. Bevy raised funds to increase their growth rate and expand the team. The Bevy Platform was originally created by the founder and CEO of Startup Grind. Bevy gave birth as a separate entity as a result of the frustrations that were occurring in trying to carry out the Startup Grind community events. Startup Grind has been building its name and brand by helping to promote director’s who are running their own private businesses. Startup Grind is these directors’ side hustle. Operating in over 400 cities across 120 countries globally. The SG Director’s have to be able to plan and execute business events for Startup Grind. This process of holding events helps these startup owners build, learn and incorporate valuable insights into their own business ventures – while building a full community in their cities. These Startup Grind events occur each month in at least 250 locations. Logistics of these operations and the intense planning — dealing with the procurement of the site used, the provision of foods and services, and the stage set-ups for these events – needs a process and back-up from Startup Grind. Events like this don’t just happen by themselves. They require support. The details of the business and other operations, such as the speakers, ticketing and signage – all take a high level of implementation coordination. Hence the support from the HQ at Startup Grind. Every single detail creates an obstacle to be fixed. The ticketing isn’t working. Help! The speaker didn’t show up. Help! The food is awful – can I cancel on the fly? Help! Soon the full-time SG staff were working on the details. Support, support and more support. More people were hired at SG headquarters for support. Then it was devs, devs and more devs — trying to keep up with the never-ending needs of the director’s. Each director was thinking that their problems were unique. However, with the reports showed that many issues that come up are common — on a regular basis. Derek Andersen began keeping track of all the information and realized that no one anywhere in the world was taking care of these specific issues. Then, as a true entrepreneur, Andersen quickly saw that his work could build out another full company. Andersen and his cofounders in Startup Grind, Joel Fernandes (CTO) and Alex Bendig (CIO) began building a new company – Bevy. Building a Customer to Customer (C2C) marketing company is a whole new category of marketing that Bevy has developed and built with the goal to continue to iterate to perfection. The Bevy C2C Marketing will be a huge growth-hacking benefit for companies as they build their customers and their brand through scaling their own community events. Founders want to build solid, personal relationships with their own customers. As companies follow the guidance, service and support of Bevy — all events can be accomplished completely and powerfully through the Bevy platform. C2C marketing is most powerful through events on a massive scale that are run by customers but powered by the brand owner. The marketing team can’t be everywhere at once but customers actually are. The magic is around bringing people physically together where the brand is the glue that binds them,” said Kobie Fuller, General Partner, at Upfront Ventures. “It becomes electric when done correctly and helps bring more people outside of the customer base-in. Combine this with the fact that millennials and GenZ are prioritizing experiences more than anything else gives brands the opportunity to get ahead should they invest in these tactics.